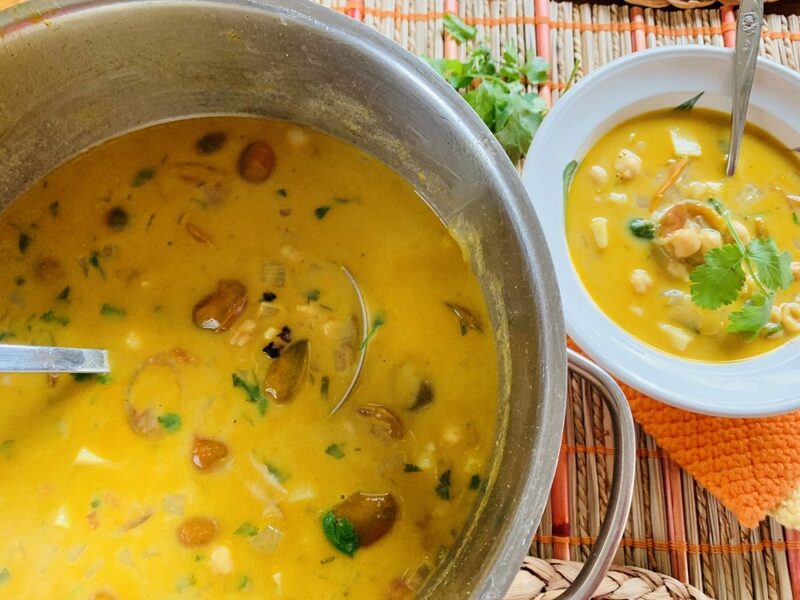 Coconut-Curry Chickpea Soup - Recipe! - Live. Love. Laugh. Food. 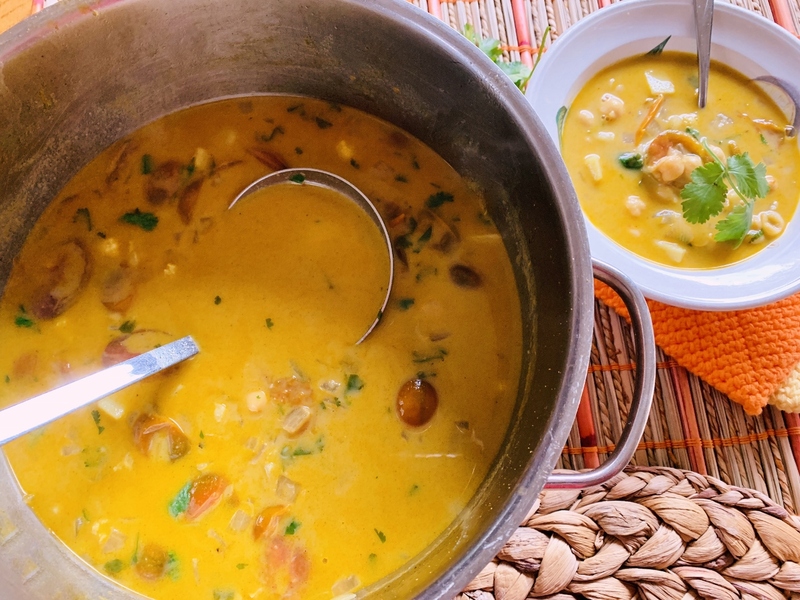 Coconut-Curry Chickpea Soup – Recipe! I was spending time with my parents this past week in Orange County, and I decided to make a few things in bulk to leave behind, so they would have something delicious to eat during the week. 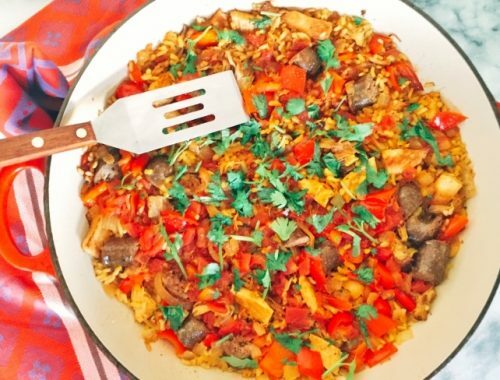 Make-Ahead Meals are so in fashion right now, they’re listed in food magazines, cooking websites and blogs, and definitely on Instagram, and this is something working parents have been doing for years now. Whether you create a recipe doubled in size to enjoy for multiple days during the week or prepare pre-cook meals to throw together in minutes after getting home from a long day, these are all smart cooking strategies in order to eat well. Making a big batch of soup is definitely something we all can do and using chickpeas is a healthful cost-effective way to go about it. I have a personal running joke about chickpeas because I can’t go a day without seeing a recipe using them. 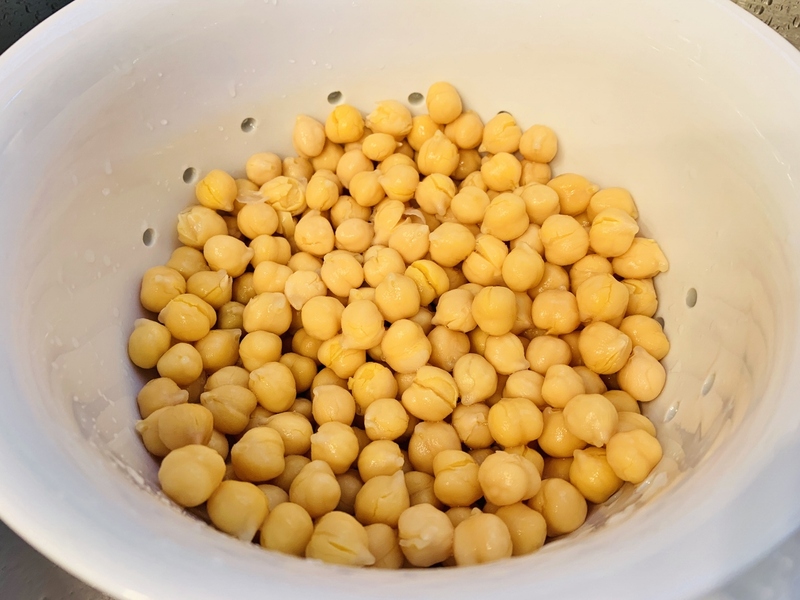 Yes, I do like chickpeas, but there are many other legumes to use besides chickpeas; like Cannellini Beans, Black Beans, Lima Beans, Pinto Beans, Kidney Beans, etc. – you get my point. However, Chickpeas seem to be the favorite right now, so I will indulge you. Coconut Curry broth is a simple mix of curry powder and coconut milk and you can add just about anything to it to create a soup or stew. I decided to keep it meat-free since I think most of us eat plenty of animal protein and using sweet potatoes along with chickpeas adds a bit of sweetness, it’s refreshing. This recipe makes a big batch and feeds probably six to eight people – I think it’s great for lunch or dinner served with a side salad, or a slice of seedy bread. 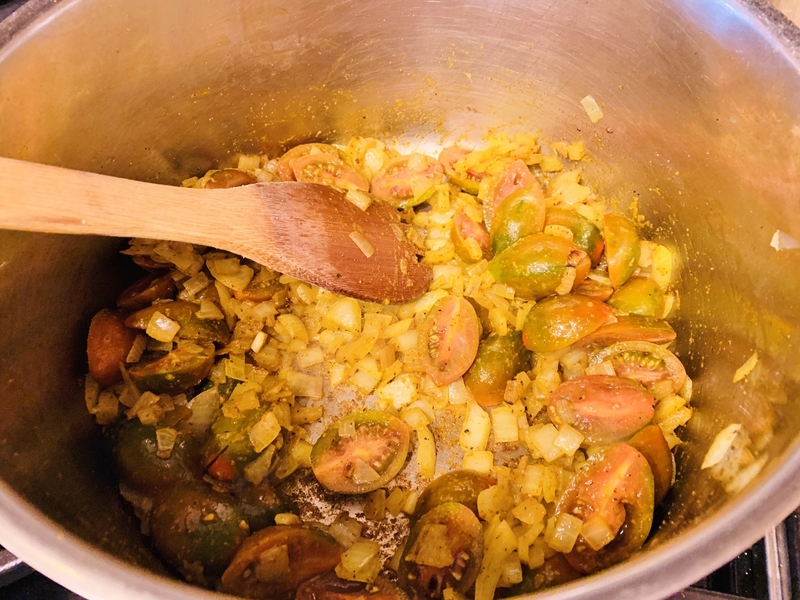 In a large pot over medium heat, add 1 tablespoon oil and diced onion. Saute onion for 3 minutes and add curry powder, stir. Add 2 teaspoons salt and 1/2 teaspoon black pepper, continue to cook for 1 minute. Add sliced tomatoes and stir. Cook mixture for 4 minutes, until tomatoes softened. Add diced sweet potatoes and broth and stir. Add coconut milk and stir to combine. Turn heat to simmer and place lid over pot. Cook for 10-12 minutes, until potatoes are fork tender. Remove lid and add chickpeas, stir. Cook soup for 4 minutes, season to taste. Add cilantro to soup and stir. Ladle soup into bowls, Enjoy! 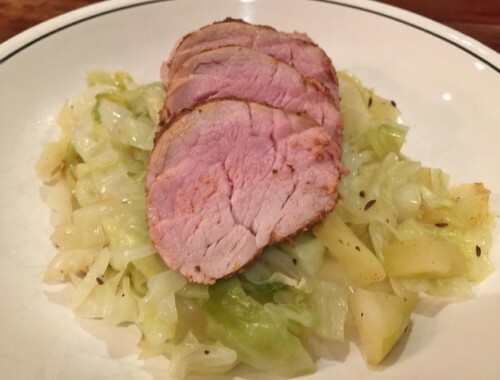 Spiced Pork with Sauteed Cabbage & Apples – Recipe! Whole30 Recipe! 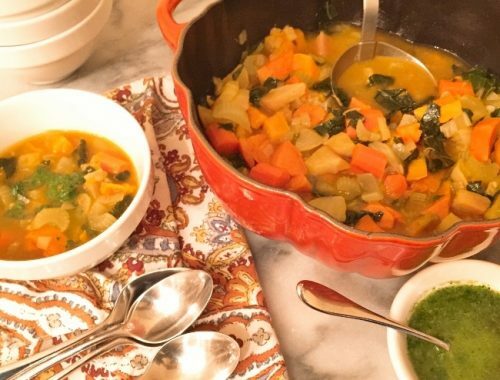 Roasted Root Vegetable Soup – Recipe!